Brittle hair, dry hair, thin hair…dry skin, flaky skin…weak nails, brittle nails….all SO not fun! Genetics, diet, medication, and the weather play a huge role on the condition of your hair, skin and nails. 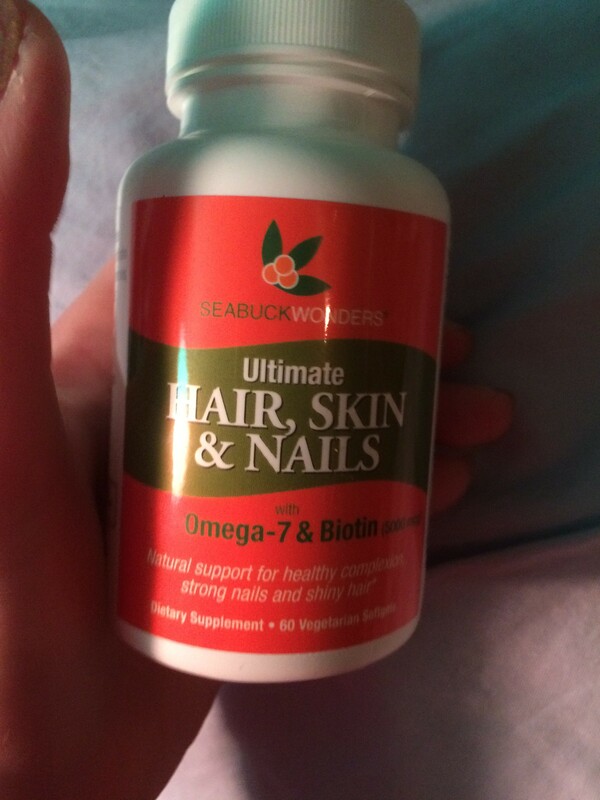 The people over at Seabuck Wonders offered me to try their Ultimate Hair, Skin and Nails supplement with Biotin and Omega-7 for free to see if it would help any battle I was facing! I have dry hair from time to time, but it does get oily at the roots. My nails are in good condition, but I do get hangnails. My skin, however, gets very dry in the winter, and I moisturize constantly. 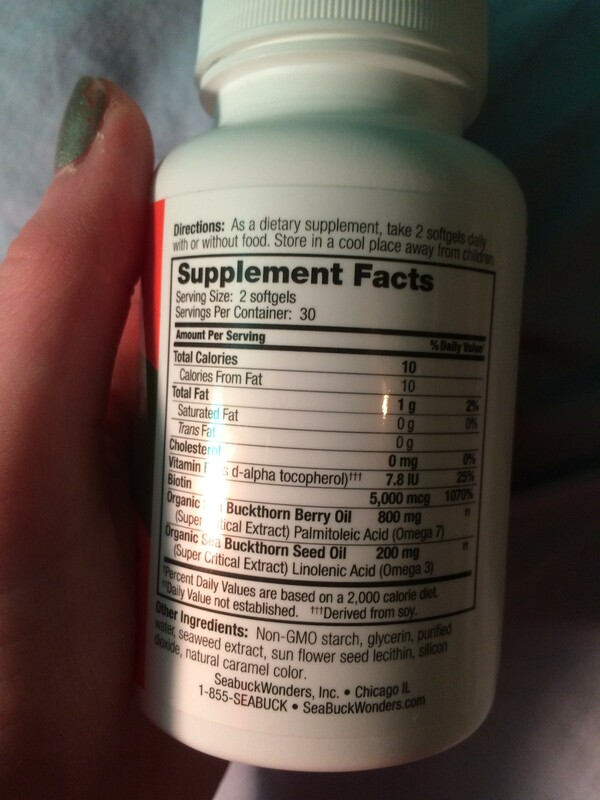 This supplement contains Omega-7, which according to the pamphlet Seabuck Wonders sent me, helps promote moisturized skin, a healthy GI tract, and helps support proper inflammatory responses. The Omega-7 comes from Sea Buckthorn, which has Omega 3, 6 and 9 as well, over 190 phytonutrients, 10x the Vitamin C content of oranges, 3x the Vitamin A content of carrots, highest Vitamin E levels among fruits, and much more. You can read more about this here. Here’s what they look like. You are instructed to take 2 a day. The pills are squishy/soft coated and easy to swallow. However, they repeated on me, and the taste was really unpleasant. 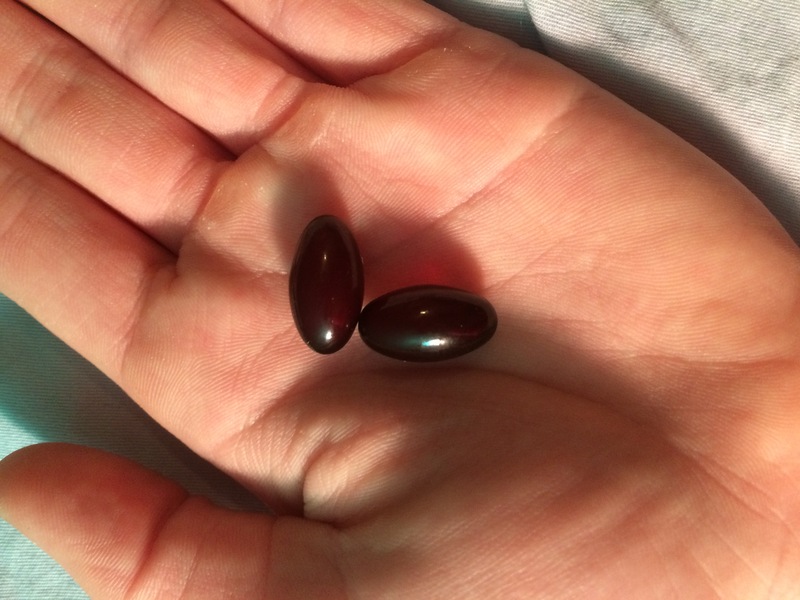 I think it needs some sort of enteric coating to avoid that flavor…if you’ve every taken non-enteric coated fish oil pills, you know what I am talking about! As for results? I didn’t see anything significant, but I also did not see any negative side effects. It did not hurt my sensitive stomach, make me break out, or anything like that. I can’t really say it helped my hair, skin, or nails, because it was only taken for a month. I think supplements need to be taken for longer periods of time to see real results. So with that said, 3 stars. I think this product is promising, and I would have liked to keep using it. However, at $35 for a month supply, it is a bit steep for my budget.